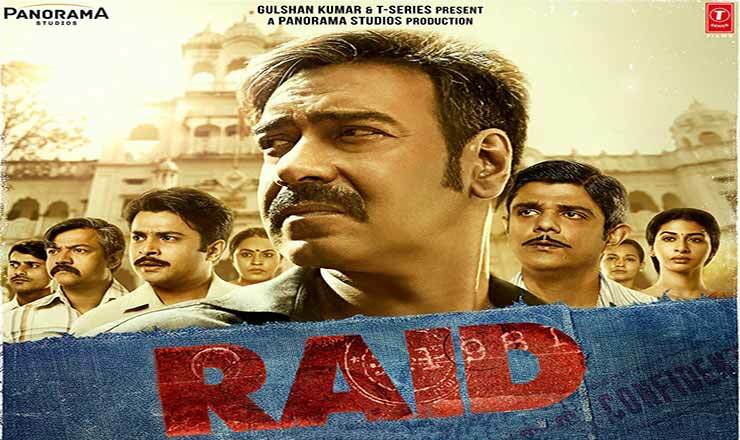 Raid is a 2018 Indian period crime thriller film features Ajay Devgn, Ileana D’Cruz, Saanand Verma and Saurabh Shukla. The movie is written by Ritesh Shah and directed by Raj Kumar Gupta. Produced by Panorama Studios with T-Series films. Background Music score and songs music composed by Amit Trivedi and Tanishk Bagchi composed additional songs. Lyrics of the songs were penned by Manoj Muntashir and Indraneel. Music label T-Series.